Zane Burger has a number of delicious burgers, hot dogs, milkshakes, beer, ice cream cones and more. Enjoy your food in our throwback dining area or sit outdoors to enjoy a nice sunny day with your meal. All of our burgers are cooked-to-order, whether you want a classic drive-in cheeseburger or a 6oz premium Zane Burger made with fresh grass-fed beef. We also have vegetarian options including a Garden Burger or Black Bean Burger complete with house-made chipotle aioli. If you are gluten-free, we have GF buns available and can also make any item a lettuce wrap as well. From chili cheeseburgers and coney dogs, to fish burgers with house-made tartar sauce or a grilled cheese sandwich – there is something for everybody on our menu. We even have ice-cold frosty mugs on hand for root beer floats or beer on tap. Ready for a little dessert? 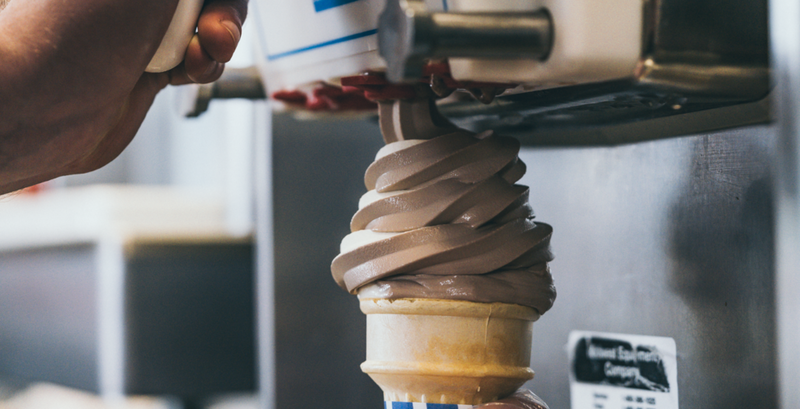 Our soft serve shakes make for the perfect cold treat, with tons of flavors and mix-ins available. We also feature old-school hand-dipped frozen bananas, soft serve cones, and loaded sundaes sure to satisfy any sweet tooth. When looking for a Fairhaven food spot to eat look no further than Zane Burger! For those who don’t eat meat, we have veggie burgers and black bean burgers available, as well as grilled cheese! Burgers and fries all made to order! We don’t cook it until you order it! $1 Fries with Any Burger! $2 Regular Burgers and Cheeseburgers! rotating weekly specials every wednesday! Click HERE to fill out your order online and everything will be ready for you to pick up at Zane Burger - how you want it, when you want it. Zane Burger is proudly partnered with Viking Food delivery to make your dinner plans even easier. Let us know how we are doing! We want to hear about your Zane Burger experience. If you would like to submit a donation request, you may do so here.